The post Executive Assistants That Want To Go Above And Beyond But How? 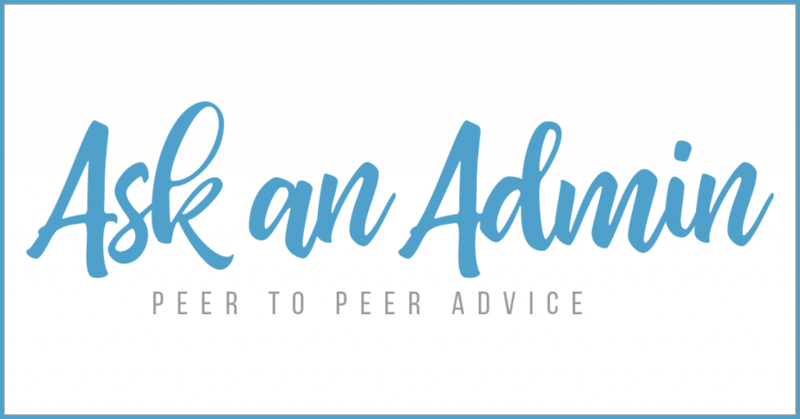 – Ask an Admin appeared first on Office Dynamics. Have you created your own career portfolio or read about how to create one? If you attended the 25th Annual Conference for Administrative Excellence you had the opportunity to attend a career portfolio breakout session with Joan Burge and create a beginner’s copy of your own. Joan’s article, “Demonstrating Yourself & Selling Your Worth” details the entire process. I personally learned a lot from that breakout session. Having one binder or online file of past performance evaluations, thank you notes and emails from coworkers, clients, etc., a copy of your resume, examples of projects completed such as forms, spreadsheets, graphs, etc. is very beneficial. When I returned home from the conference, I polished up my portfolio and will continue to add to it. One personal detail I started to focus on was my career review, which I see as an extension of the career portfolio; not only reviewing my past year or two at my current position but looking back on my entire career. What top three tasks or responsibilities did I most enjoy about each career choice? What responsibilities did I use the most and currently feel the most comfortable with? What do I miss most about past positions that I do not do in my current position? Can I incorporate anything from my past to my current position? Are there processes or procedures from my past that I can currently use to save time? What one tip or process from my past managers can I discuss further with my current manager? Answering those questions can help you set goals, help you focus on what areas you could learn more about, hone in on certain time-saving skills you may not currently be using, but feel familiar with, incorporate tasks into your current position that highlight your skills and could make your current position more productive. Focusing on sharing your skills with your current employer can not only make you more productive but also help you better create a position that you enjoy. Reviewing your career experience encourages you to bring your skills and experience to your current employer and helps you create a definition of career purpose. When you work with intention and incorporate the relevant pieces of your past career(s) into your current career choice your dedication and proactiveness will shine through in the tasks you complete. Pride in your work and recognizing the skills you have worked hard to learn help create a job you truly enjoy and want to be a part of. You were hired for a reason…remind them (and yourself) why with a career portfolio and by reviewing your career. Please share your tips and review highlights in the comments section! The post Reviewing Your Administrative Career appeared first on Office Dynamics. Give yourself a BIG pat on the back at the end of the day! ©Copyright Office Dynamics International 2018. And here is Joan’s list! The post Joan’s Naughty and Nice List for Assistants appeared first on Office Dynamics. The post 6 Free Training Sources for Administrative and Executive Assistants appeared first on Office Dynamics.